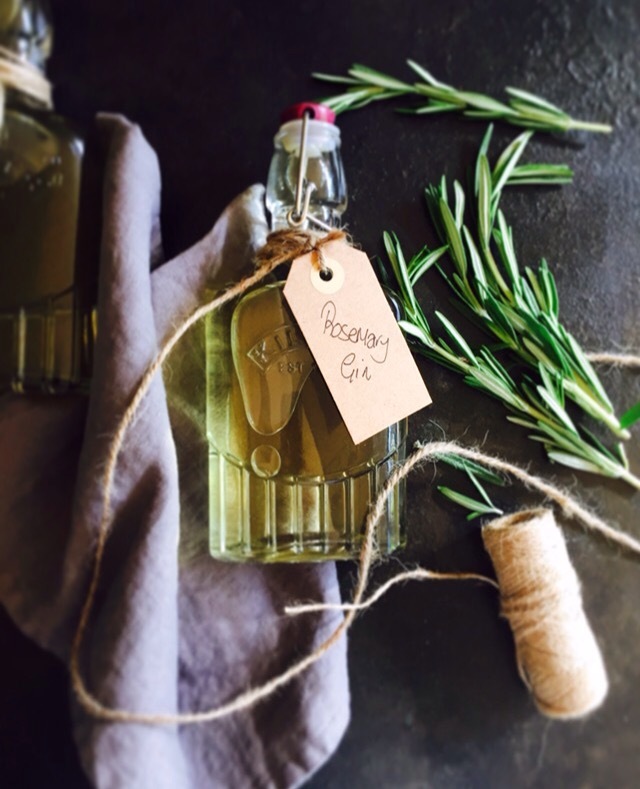 A few weeks back the gin infusion started! The idea was to stockpile for warm summer evenings in the garden, then we had an unexpected heatwave which was glorious, beautiful warm evenings of sitting in the garden making the most of it, along with of course glasses of the said stockpiled infused gin! So then the little production line started in my kitchen. Because as you can imagine the stock depleted a lot quicker than I had envisaged!!! The raspberry one I had made before but the Rosemary one I hadn’t tried. Both are delicious and very simple to make. I have to be honest, at first the Rosemary one wasn’t doing it for me, it does change to a not very attractive shade of yellow! The raspberry does the total opposite and turns a beautiful pink, anyway I done the little shake every couple of days and after a week it came to decanting it into bottles, I wasn’t keen on the smell either! A couple of weeks later we took the plunge and tried it – it’s lovely!!! We had it poured over lots of ice and topped up with Sicilian Lemon tonic from @fevertree_uk and a sprig of rosemary for garnish. So it goes without saying I’m replenishing my stock. 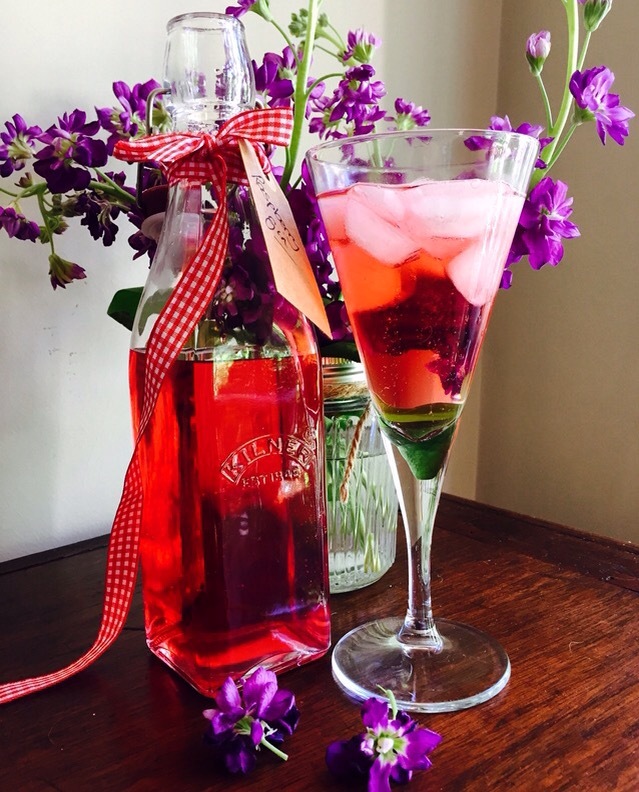 Raspberry infused Gin is delicious too, very easy and oh so pretty. Again elderflower tonic works perfectly and now I’ve tried it with Rose lemonade which also works. It’s the perfect garden party drink ~or on a warm summers evening ~or lunch ~ or anytime really!!!!!! These are both a simple and thoughtful gift. And I’m sure that once you’ve tried them you’ll be stockpiling too!! 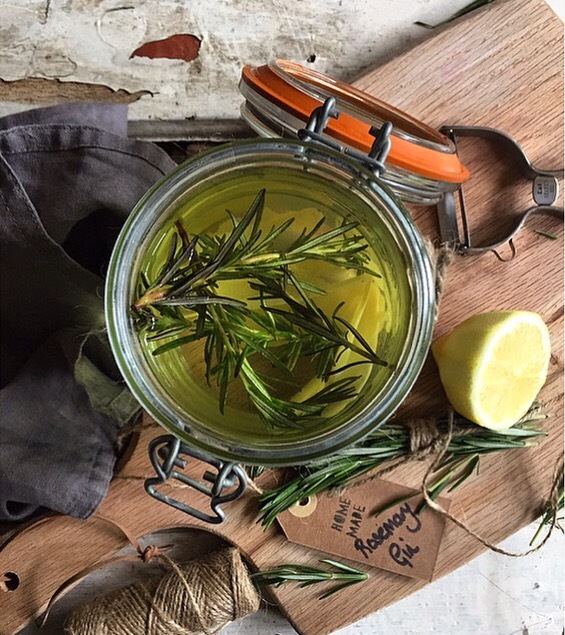 Add the gin, the rind of the lemon, sugar and three sprigs of the Rosemary to the jar and leave to infuse in a cool dark place. You can taste after a few days if you want ( I didn’t ) shake every couple of days and leave for up to two weeks. I left mine for a week. When your gin is ready strain through a muslin cloth into sterilised bottles. 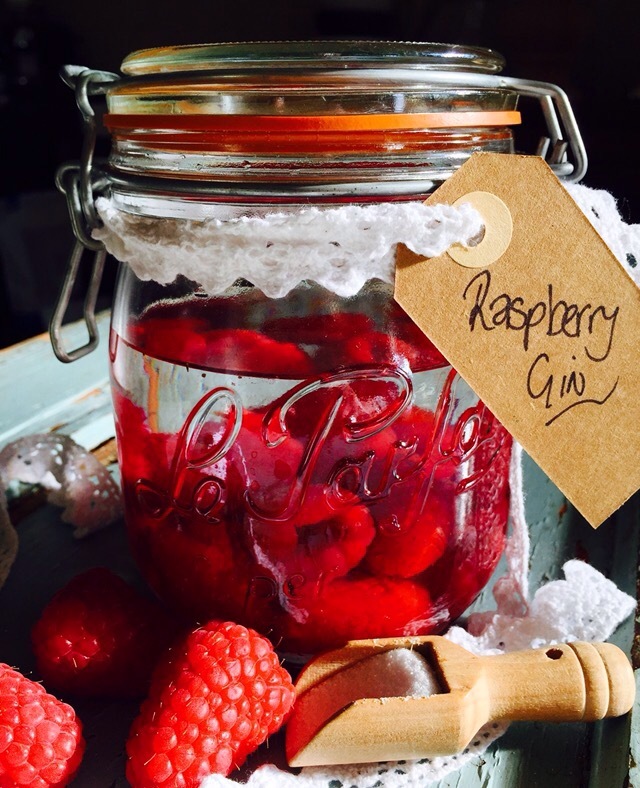 Put the raspberries, sugar and Gin in to your jar. Shake well to dissolve the sugar. Place the jar in a cool dark place and leave for two weeks, giving it a shake every couple of days. It will be a beautiful pink colour. When it’s ready strain through a muslin cloth in to sterilised bottles. That’s it so easy!! Now you just need lots of ice, tonic of your choice as I mentioned we love the elderflower and Sicilian lemon Fever Tree tonic. Cheers to a perfect summer tipple! If you try them let me know what you thought. what gorgeous gift ideas! And pink gin – how pretty.